How and when did you first start running? Early 2013, I think. It was after my mentor at work suggested that to cope with teaching I’d need some sort of outlet & what wise words they were! I bought a pair of trainers & made my now husband take me on little runs before then joining the local Sweatshop evening runs; I worked up from a mile to 5k to 10k mostly along the Thames path routes in Berkshire. What brought you to Nidd Valley? When we moved to Yorkshire last year we thought joining a club might be a good way to make friends. I sent my husband, Luke, first to check it out & he insisted it was so friendly & inclusive that I had to join too. Best decision of the big move! What is your favourite running music? Genre or specific tracks? I used to like a bit of a power ballad, as well as the Fleetwood Mac/Eagles/Queen collection inherited from my Dad. However, more recently I’ve been opting for podcasts as a way to think & run. What is your favourite food before and after running? Faves have to be porridge & a cuppa before. Usually orange juice after & maybe poached eggs on toast. What is your best running tip that you would like to share with us? Don’t assume you can’t! And have a “cheerleader” to remind you of it, however quiet in the background. Luke never let’s me say I can’t but just looks at all the ways we can solve the problems, niggles & uncertainties. What is your proudest moment in your running career? Running in a triathlon relay at Eton Dorney in 2014 with old work colleagues. The swimmer & cyclist were bang on their estimated times, while I came in considerably faster than I’d anticipated! It was my first official 10k PB of 56mins & we all crossed the finish line together! I was so chuffed. What are your running goals? I’d love to do a half marathon. 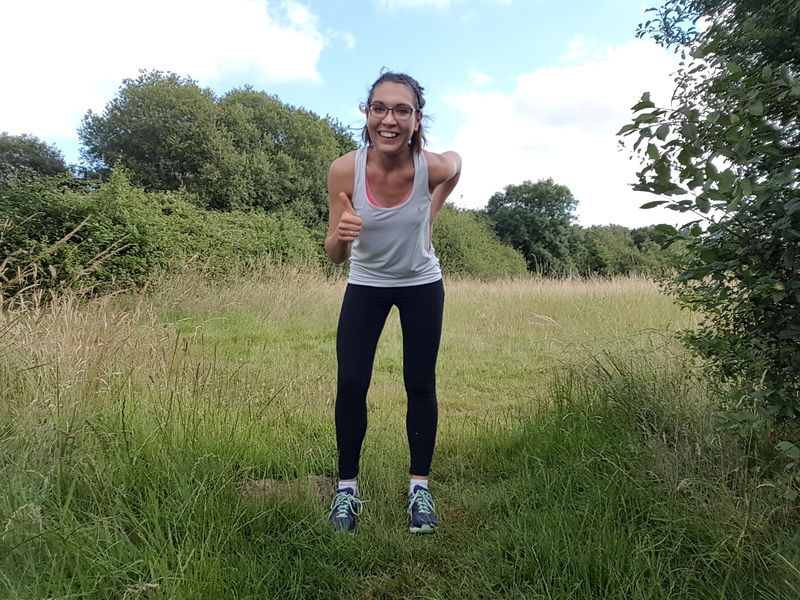 I started training before having our son but only got to about 8- 9 mile distances before I had to stop running around week 26 of my pregnancy. Already up to that distance again, just the next step now… Signing up! What event are you training for at the moment? I’m not really, just enjoying the social running & balancing it all with our new home. Recommendations for a half marathon welcome!